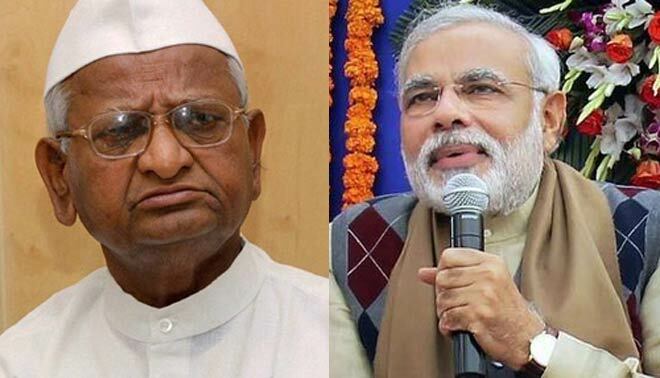 Subject :– Support to Shri Anna Hazare’s agitation and urgent need to take implement the promises made to curb corruption in 2014. In the year 2014, the citizens of India were delighted to know that you have promised clean governance and a corruption-free India. You had proclaimed that you would not indulge in corruption nor would you permit anyone to indulge in corruption. Wise words indeed. Almost five years down the line, in the year 2019, the citizens are disappointed with the steps taken by your Govt. to walk the talk. Mega-schemes like “Swachh Bharat Abhiyan” to keep our Country clean have been launched using tax-money. But nothing has been done to usher in Swachh Sashan Abhiyan (clean governance mission), the promises made remains on paper. The laws made to curb corruption (viz. Lokpal and Lokayukta Act, RTI Act, Right to Service Act, Delay in Discharge of Duties Act, Whistleblowers Act etc) have become paper tigers. On the contrary, the Corporates and family members of Parliamentarians, public representatives and public servants have multiplied their wealth a thousandfold, to say the least. But now enough is enough !! Too much rope has been given to you in the hope that there would be a change for the better. It’s shameful that social activists have to agitate for demanding these basic rights which you and the entire Govt. machinery is supposed to provide to the citizenry. It reflects on your ill-intentions. Your sympathies lie not for the common citizens but for a select few whose support would bring you back to power in the next elections. But if coming back to power is your intention then you better take immediate steps to undo the wrongs committed by your Govt at the earliest. We fully support all the demands of Shri Anna Hazare, viz. iv) Pension to be given to farmers above the age of 60 years. vi) Irrigation schemes framed for farmers be implemented in true spirit. Revoke all Circulars, GRs, Notifications etc which prevent action to be taken against corrupt public servants due to lack of sanction from “Competent Authority”. When it is evident that a public servant has indulged in abuse of power and corruption or amassed wealth disproportionate to his known source of income then there should be no need to take the sanction of any higher authority to initiate an inquiry. Such a public servant should be automatically be prosecuted as per the laws of the land. Hope action is taken on a war-footing to strengthen our Nation and restore it’s lost glory. Plot 275/3, Gope Nivas, Sion E, Mumbai – 400022.